Our time (me, my wife, and Monkey) in Belize was an experiment in personal travel aesthetics. Our typical travel modus operandi is to bunny hop from place to place grazing on the countries unique offerings, sniffing at the elegant flowers without taking the time to learn the secrets of the leaves, stem, or root system. It has the benefit of allowing us to see many amazing attractions with the drawback of not knowing any of them deeply. We make acquaintances, not friends of countries. Our previous holiday in India, we averaged 1.38 nights per city. Travel, for me, is a soul-edifying activity. Every place I visit alters my spiritual DNA by which I assimilate the world. I want to understand the essence of the alteration so I engage in writing meditation, time-intensive writing meditation allowing me to study my alterations through many facets of a diamond. Bunny hopping can be frustrating when I am unable to carve out the time necessary to properly reflect and tease out the fingerprint the adventures imprinted on my soul. I do reflect. I always reflect. The challenge is the time horizon and the exponential decay of experiential memory. First contact is a short-lived seed imprinted in the soul. There is an ideal time, unique to each experience when the seed explodes and I am face to face with a vibrant bloom emoting stunning aromas during which I can fully assimilate understanding. Wait too long to reflect and the flower becomes wilted, drained of color, and there is little perfume to ignite my senses. Much, not all, of the lesson is lost. We are pitching our proverbial tent in one location, the marvelous Cocotal Inn and Cabanas, a touch North of San Pedro on the island Ambergris Caye for a full seven nights. We did not manage to book our favorite casita which has a porch with two comfortable chairs and a front door open to the Caribbean sea. It was booked months previously. We took the last available room at the Inn portion with a view of the rolling waves partially obscured by said casita. My wife almost never goes to the same place twice so this is also a major change for us. We loved it the four days we spent here last year. 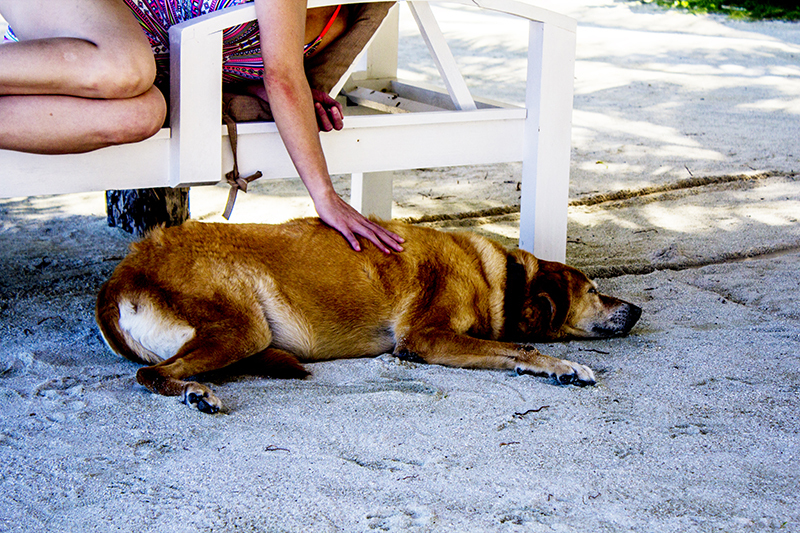 There is the added attraction of Mara, the resort dog with a sweet disposition, for whom she brought four bags of treats. My wife loves dogs and is emotionally attached to Mara. We had three plans for our holiday. One, sit on the beach, me beneath a palm leaf hut on lounge chairs shaded from the sun, she alternating between swimming and accepting the gift of the suns rays. For the first two days, our biggest decision was under which palm hut to stretch out. Two, snorkel the life abundant coral reef including time with sharks. 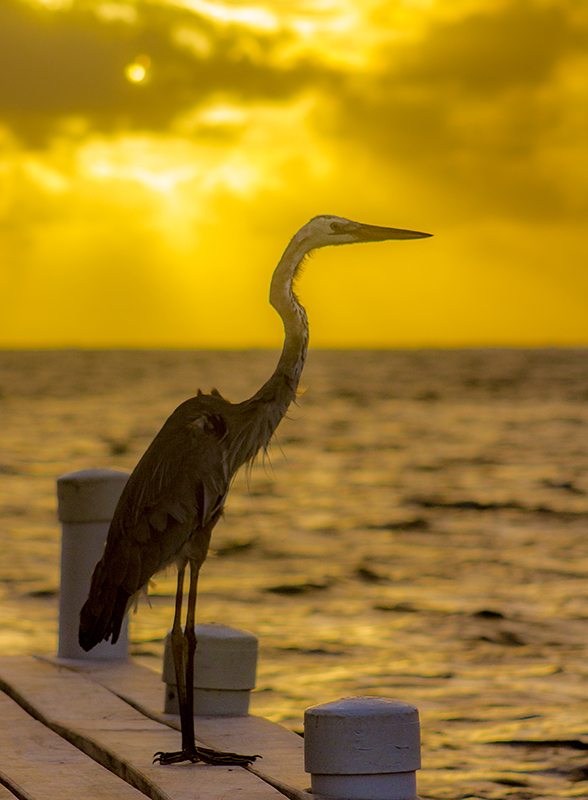 Three, spend a day at island Caye Caulker. One and two were non-negotiable. The third was a nice to do if our mood fancied it. I had to battle Monkey, frequently battle unrelenting Monkey for reading, I brought a 700-page novel by Jaume Cambré, and for writing. I write to explore the cryptic depths of my psyche and believed it would be optimal exploration during the unencumbered day to day rhythms of tropical life. He wanted to go, go, go. The remainder of this writing will include the many ways he overtly (“let’s go, let’s move, quit wasting my time”) and covertly (earworming song lyrics) tried to divert me from connecting my soul to the universal consciousness including Earth and all Her living beings living and deceased and yet to be. Note: Any voice I believe originated with my Monkey or in conversation with Monkey is italicized and blue. If some of this feel disjointed, it was because I needed to refocus after Monkey played his games. Sometimes the tangents took me in a direction I did not expect. And that’s ok.
As is my pattern, as has been my routine for years, I wake up before dawn to accept the gift of Sun rising o’er Earth’s edge as it kicks off a new day, the first day of the rest of life. I don’t leave sunrise gazing to chance, to natural sleep rhythms, to any method that may cause me to miss the celestial wonder. I set a silent alarm on my watch to ensure I avoid committing the unpardonable sin of missing the morning miracle. I revel in the half hour experience of morning glory as Old Sol continues the billion-year-old pilgrimage and bathes Earth in warmest light while her delicately painted darlings sing their chorus and serenade the new day. If I am near a location with a decent view of the horizon, I chase sunrises (and sunsets) doing my best to position myself for optimal sunrise glory with my cameras ready to approximate the experience for later viewing. I prefer rise to set primarily due to the lack of people. Sunrises can typically be experienced in solitude. I like solitude. Sunsets tend to be disturbed by the detritus of human sounds. Sounds can be distracting. I shoot with a mixture of lens types from ultra-wide for capturing the expanse of the sky to telephoto to maximize the size of the sun and hone in on exquisite, localized drama. I choose whichever is best to capture the emotion of the moment, the emotion of nature as it awakes from the little death. Today, the clouds are perfect for spectacular colors. Clouds are a key ingredient to a dramatic sun transition especially when they contain an element high, off the horizon and the morning rays paint them in shades from red to orange to tangerine to yellow. My favorite shade matches a large glass of freshly squeezed orange juice. Of the seven consecutive mornings, two were near impotent, two were excellent, and three, including the final two, were so overcast not a hint of color blessed my morning hastening a quick return to bed. These were awesome. I was able to capture a few money shots. I am delighted to be sitting on the beach this first morning being buffeted by the warm ocean breeze knowing back in Chicago, starting the day we escaped, fourteen inches of snow attacked the city. There were nine consecutive days of snow and we missed the worst of them. There are other benefits to arising near dawn. Human-generated noises are virtually non-existent allowing one to experience raw nature. My ears tune to hear delight in birdsong. Chirps, twitters and tweets, descending trills, caws and guttural croaks. I am present to watch Pelican drop into the sea and capture Fish in its long beak. I was present to see Heron standing in silhouette on the far end of the long dock. Heron tends to be skittish, rightfully fearful of humans who in past history coveted their bright plumage to adorn hats. I popped my telephoto onto the camera and slowly made way toward the bird. About halfway, along I could sense it feeling closed in so I laid down on the dock to maximize the amount of silhouette against the tangerine sky. It was a very good morning and my favorite pictures of the entire trip. Another benefit of mornings, Monkey though annoyed that I am awake is too groggy to be a nuisance. I am able ‘to be’. To exist in the moment. And he is content that, with the conclusion of sunrise, I return to bed and snuggle up against night owl for a couple of tranquil hours. It is day number one of our vacation. I have been relaxing on the beach for a couple of hours beneath a cabana draped in palm fronds, fronds providing protection from the direct rays of the sun, rays that pierce my skin like little spears turning any exposed flesh pink and painful. I am convinced the pink is little pools of blood. I was not blessed with the ability to tan. I am dwelling in the delicious heat, the comforting humidity, and the tropical breeze carrying the scents of salted waters. Monkey has been slam dancing in my head for quite some time but I have mostly managed to ignore his raucousness. Then he put on spiked bracelets and anklets and started flailing his arms in all directions smashing into the tender walls of my psyche. I am becoming restless, agitated, distracted from the joy of observations in the moment. I love watching White Hawk gracefully gliding against the azure blue sky then folding its wings and crashing into the surf in the attempt to spear a fish in curved talons. How often are they successful? It doesn’t really matter…to me. I don’t understand the struggle to survive by my ability hunt. I, stomach full, am content to enjoy the elegance, the poetry, the truth in the dive, the melody of the splash when feathers impact water, the phoenix rise and the shaking off of water droplets as it ascends. It is an exquisite ballet. It is unadulterated truth. It is true as Monkey who I wish I could slap into submission, banish from my head and allow my soul to become an island, not forever, but for the next days as my senses feast on the Caribbean seashore. Slap. Slap. I fear I am doomed to live never-ending monkey gymnastics. Is it rude to stare at naked Duck thrashing in the ocean? The one I spied with binoculars purchased specifically for this trip was bathing, preening, flapping on top of the water as though it was in the throes of a violent sexual encounter. It was alone so I can only assume it was simply in ecstasy for being free to be a duck. Ducks fly with incredible speed inches above the water. They feel city in their rush. Whereas, Pelican glides with beach life relaxation. Given a choice, I would prefer to be Pelican with their Jamaican, ‘no problem mon‘, countenance. The breeze seems to never end, wave after wave of ocean breath, earth breathing, keeping us cool during the hottest hours of the day. Even the humidity is not bothersome. I have been sitting ‘neath a palm for a few hours now, barely moving, gazing across the ocean blue. The horizon line foams white where the coral reef tempers the waves cast by the open sea. It is our protector. Our guardian. The sea, from above, appears barren, lifeless. A mirror reflecting all attempts to see beyond her surface and into her soul. No plant life save the dead seagrasses caught in the current. Devoid of animal life except for the birds plunging then quickly escaping to the cloud painted skies. And the occasional fish breaking the surface to escape a predator or, perhaps, for the joy of exploration unfamiliar environs. Stunning sunrises, I also love to wake up to watch the sun rising. Belize looks wonderful, I’m hoping to go towards the end of the year! Thanks so much for reading and commenting. Belize is definitely a paradise. We were there last year spending half our time at Cocotal and half at Ian Anderson’s Caves Branch Jungle Lodges. Ian’s is a great place to launch into the jungle with their many guided excursions. And the place itself is fabulous.